Wow, and that was October, where is this year going? We are already half way through the current Crafty Boots 'Pink Challenge. This challenge is our way of giving support to Beast Cancer Awareness Month .... it is also a good excuss to go all pink and girlie. 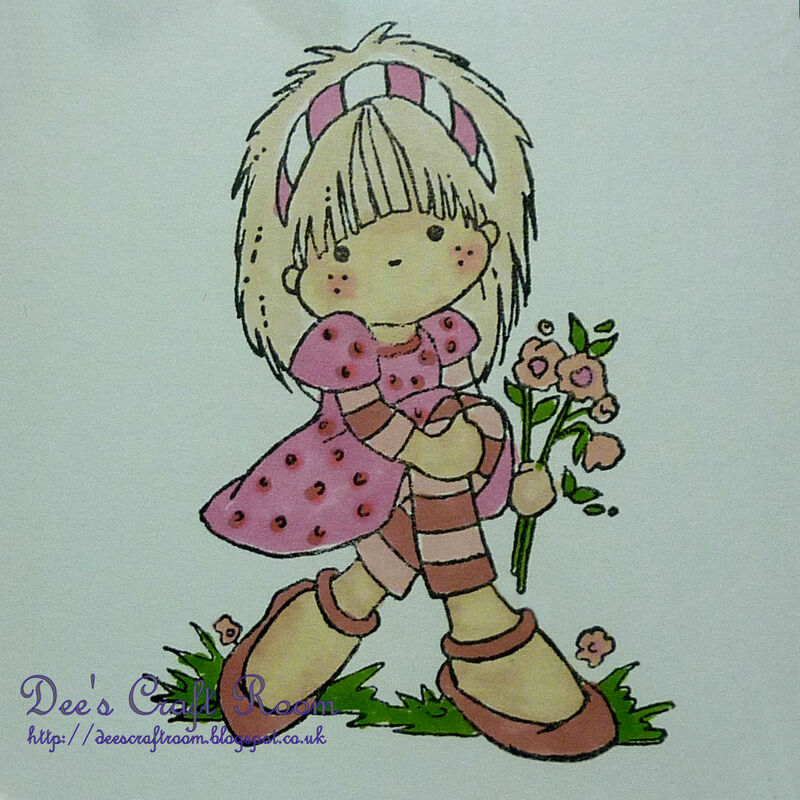 This little lady all dressed in pink is 'Honey Pip' from Funky Kits, one of their Sherbet Pip range. I coloured her with Promarkers and then mounted her on silver mirri and some checkered paper from a K & Co paper stack designed by Tim Coffey. The backing paper is from a Craftwork Cards stack. The buttons, sentiment, ribbon and pom poms are all from my stash. This week we have three fabulous Guest Designers at Crafty Boots Challenges, make sure you pop across and chack out their amazing work. Beautiful card Dionne! 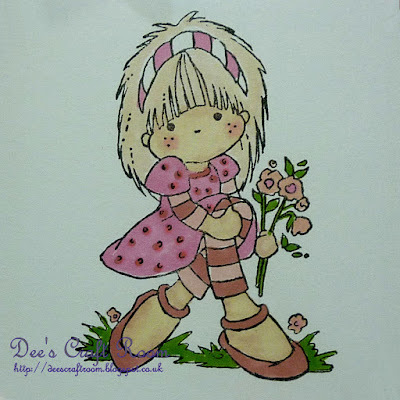 I love your girly image, so perfect for the pink theme and the lovely feminine feel of your card! Beautiful!! Thank you, I was going for an all pink look but the tartan picnic blanket effect just seemed the way to go. It has been a miserable day here, very cold in the morning and rain in the afternoon. But that is what I would expect for this time of year. Lol Carol, so English in fact, I did not even think it sounded odd! I have a big soft spot for Sugar Nellies and got a big shock this week when I discovered that Funky Kits are having a closing down sale. Autumn is Starting to Feel Like Winter!